1st Gear: Did You Reserve Your Tesla Model X? The Model X, eagerly awaited since it was announced in early 2012, will launch with a premium-priced special version called the Signature series that will cost between $132,000 and $144,000, a Tesla spokeswoman said. It is customary for automakers to debut higher-priced versions of their cars before introducing standard models. CEO Elon Musk tweeted that the first cars would be handed over Sept. 29 at the company’s factory in Fremont, Calif.
Europe’s biggest carmaker has been looking for a permanent successor to Piech, who was ousted in April after clashing with Chief Executive Martin Winterkorn over strategy but still wields influence through his family holding. One day after proposing to extend the CEO’s contract by two years until the end of 2018, the supervisory board’s executive and nomination committees proposed to elect Poetsch, 64, as chairman, VW said on Thursday. “Mr Poetsch distinguishes himself by strategic foresight, profound knowledge of the auto industry and great expertise in financial markets,” said Berthold Huber, VW’s interim chairman. He’s a finance guy, not an engineer or a crazy person like Ferdinand Piech was, even though he has Piech’s support. It will be interesting to see what this bodes for the VW Group. Mercedes-Benz is working on an electric car with a range of up to 311 miles that could compete with Tesla’s Model S battery-powered vehicle, development chief Thomas Weber told German magazine auto motor und sport. Ford Motor Co. and General Motors Co., facing a midnight Sept. 14 contract deadline, are considering a proposal floated by the United Auto Workers to create a health care co-op that pools together active workers from all three Detroit automakers. “We’re discussing it and we’ll see where it goes, but again, it’s way too early,” Ford Motor Co. Executive Chairman Bill Ford said during a charity event Wednesday marking the 10th anniversary of the Ford Volunteer Corp.
5th Gear: Can Uber Succeed In Developing Markets? Challenges facing Uber in Lagos, the first sub-Saharan African city to have the service outside South Africa, include congested traffic and poor mapping quality, according to Lits. Another is that a relatively small proportion of Nigerians know how to operate a smartphone well enough to manage the trips, Ebi Atawodi, general manager for Uber Lagos, said in the same interview. “The smartphone module is usually what trumps people,” Atawodi said. While Nigerian active mobile-phone subscriptions rose about 14 percent to 148.5 million in the year ending July, according to the Nigerian Communications Communication, fewer than 10 percent are for smartphones, or Internet-enabled devices. Nigeria is Africa’s most populous country with more than 170 million people, of which about 21 million live in Lagos. On September 3, 1900, the first car ever made in Flint, Michigan makes its debut in the town’s Labor Day parade. Designed and built by a county judge and weekend tinkerer named Charles H. Wisner, the car was one of the only cars built in Flint that did not end up being produced by General Motors. In the end, only three of the Wisner machines were ever built. 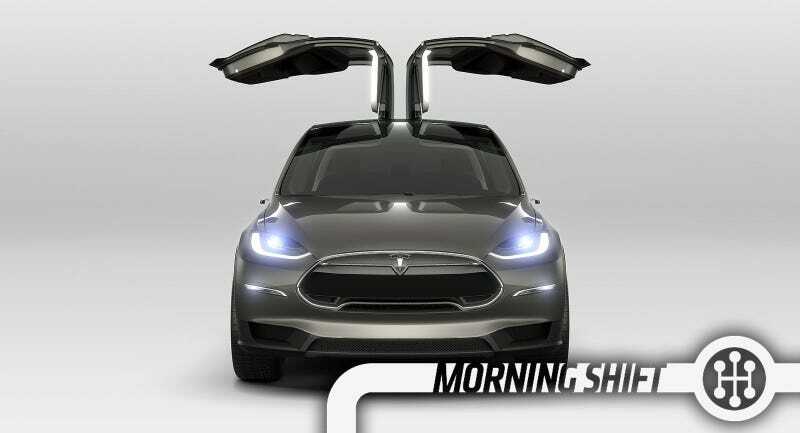 Neutral: Will The Model X Be A Hit Or No? And if it is, how soon until we start seeing Model X fighters?